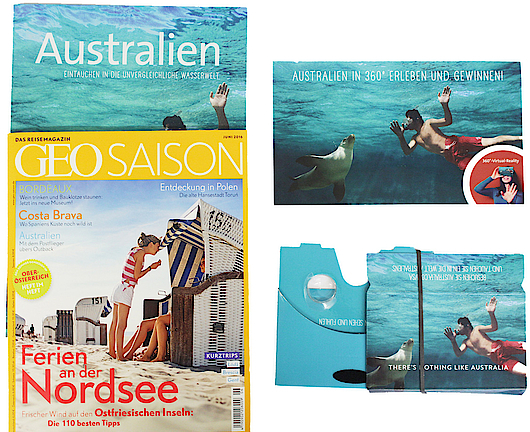 In summer 2016 the German top travel magazine Geo Saison and science magazine Zeit Wissen sent their subscribers a special edition. Special insert was our POP! CARDBOARD BULK in the custom branding of Tourism Australia. Customers could take a dive with sea lions at Port Lincoln, South Australia.